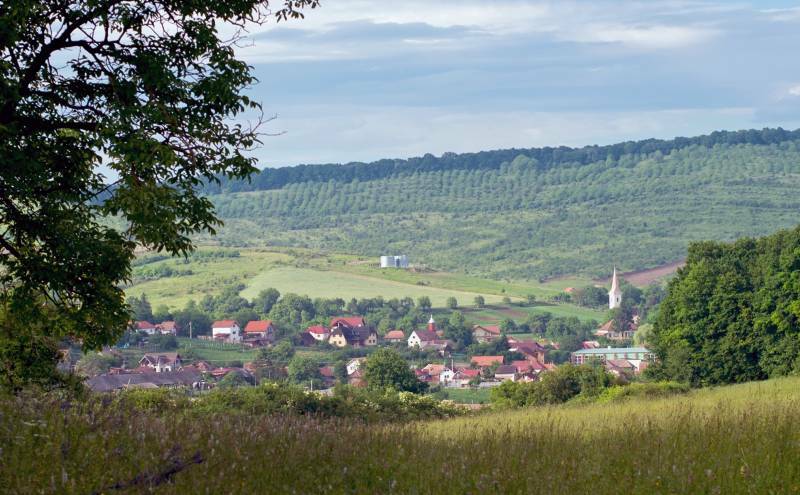 The village lies 5 kilometres away from Marosvásárhely – Târgu-Mureş, at a height of 358 metres above sea level. Until 2005 Koronka – Corunca and Székelybós – Bozeni were under the administrative jurisdiction of the commune, when, after a referendum, they became independent. A medieval letter of debenture drafted in Kolozsmonostor – Cluj-Mănăştur in 1505 mentions the settlement under the name of Yedd. Its school is first mentioned in 1615. The reformed church was rebuilt in 1816 on the foundations of the ancient gothic edifice. The Cserei-Turmann-Mikó mansion was built in the beginning of the 19th century. In 1944 this building was blown up, and a stock-yard was built on the site. In the eastern outskirts of the village, as a result of landslides, hillocks emerged. This is where, in 1662, Ali pasha pitched his camp. Jedd lies on the banks of the Sásvári stream. Its source is in Kebele – Sânişor, than it flows through Kebeleszentiván - Ivăneşti and Jedd and continues its course in the direction of Marosvásárhely – Târgu-Mureş. Under the administrative jurisdiction of Jedd are the villages of Kebeleszentiván - Ivăneşti, Marosagárd – Poieniţa and Kebele – Sânişor. Altogether, the four settlements are the home of 2023 souls.